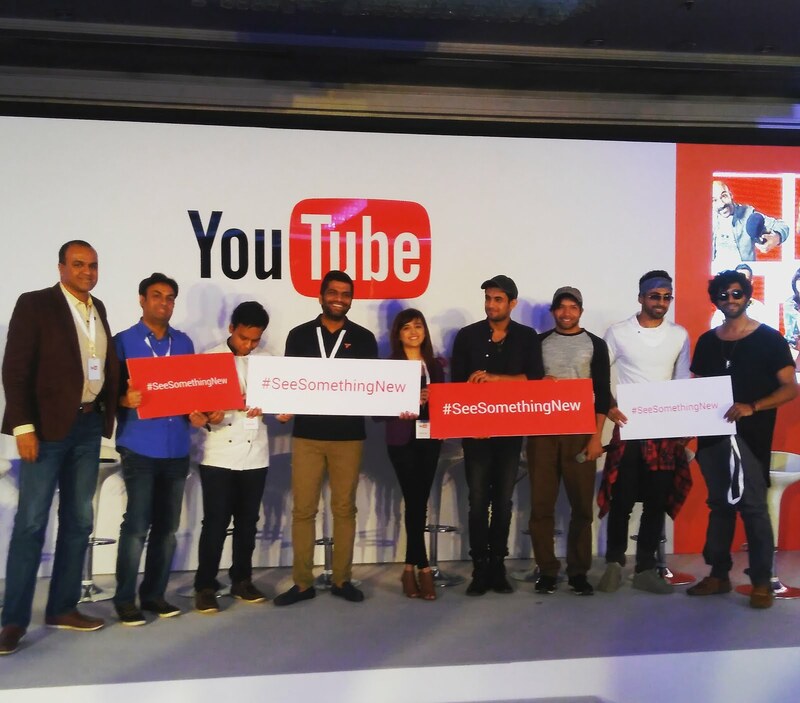 Fit Foodie Megha: #SeeSomethingNew – Inspire more creators, a campaign by YouTube! #SeeSomethingNew – Inspire more creators, a campaign by YouTube! To boost budding creators and to discover right audience, YouTube introduced the campaign to highlight some of the top content creators. 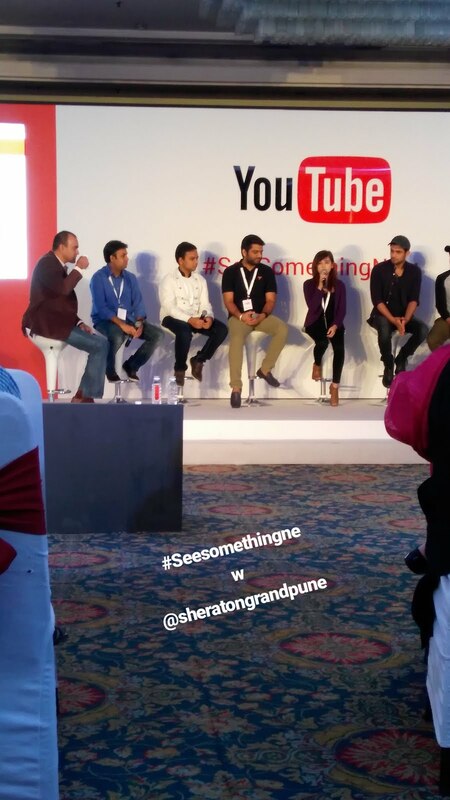 The event took place at The Sheraton Grand, Pune where I got a chance to meet some of the most popular faces of YouTube. The event started with the introduction of the campaign and the future plans of the YouTube by Mr.Satya Raghavan, Head of Entertainment Content for YouTube. Some of the featured creators for the campaign are Chef Yaman Agarwal for his channel Cooking Shooking, popular boy band SANAM, Super talented singer Shirley Setia, Gadgets freaks GeekyRanjit and Technical Guruji were there to inspire creators to succeed online. Each one of them had a story to share, how they started, challenges they faced and more. I got to talk to one of the youngest budding chef Yaman who has his own channel Cooking Shooking with over 4 lakh subscribers. Yes! He was inspired by a personal food experience. He just casually posted a video of his first recipe of Paneer Butter Masala on YouTube and it was liked by many. Further he added, it was shot with a videocam by his sister. His family has supported a lot and after a struggle of good 2 years, he could start his professional video shoot and rest is history. He is humble, focused and creative. At such an age, he is such a person to be looked upto. Shirely Setia, on the other hand is the face of the youth. She discovered her passion for music over Youtube when she took part in a contest conducted by T-series. Her work was appreciated by people and she is enjoying her passion now. Technical Guruji aka Gaurav Choudhary or Guruji believes that uploading the content in the national language would reach more audience and make it more easy to understand. With over than 8 lakh followers, his motive is to make people understand the technology in the most easiest possible way. Initially, started with one video in a day the channel has now crossed 3-4 videos a day. His channel Technical Guruji has almost all the technical answers you need to know. 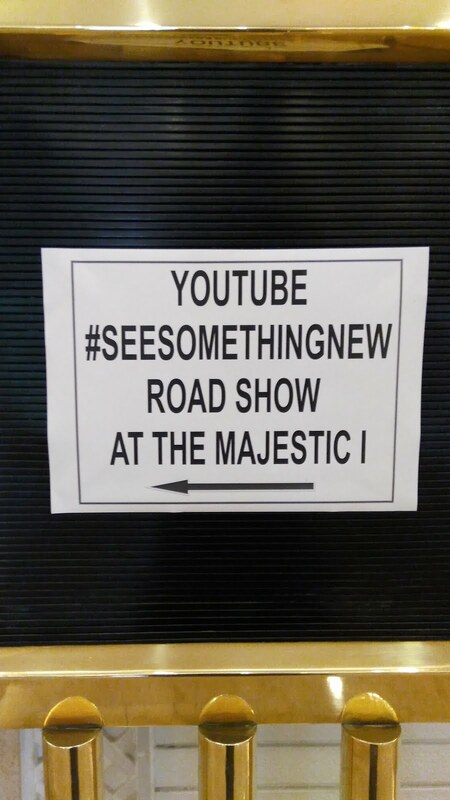 New feature which we can see on the YouTube is the mobile live streaming, wherein things are more easy. You can make live videos and share what you do! Do not hesitate to start your own channel. It can be anything you wanna share to the world - be it your pet, your art, your creativity - there is a whole new world to explore. Go ahead and try sharing. Thank you so much Alwaybhukka! :) It was a great event indeed. Happy Munching – Terra Chips — Reviewed! Teavana – New Tea Menu at Starbucks! — Reviewed! Beto's Bar and Kitchen — Reviewed!